Taiwan health officials have confirmed a botulism case in a man from Lianjiang County and are currently investigating the source of the intoxication. According to the Centers for Disease Control, the case is a 57-year-old male who resides in Lianjiang County. On July 4, 2015, he developed difficulty in swallowing. On the following day, when his symptom persisted, he sought medical attention. 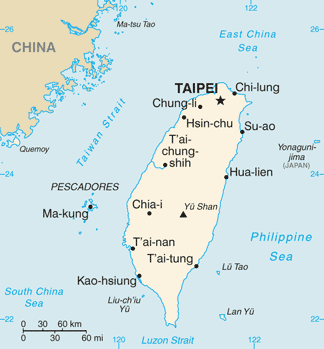 He was then transferred to a hospital in northern Taiwan and hospitalized for treatment. Subsequently, he developed difficulty in swallowing, eye muscle disorder, weakness in limbs and difficulty in breathing. As a result, he was reported to the health authority as a suspected botulism case by the hospital. On July 13, infection with botulinum toxin type A was confirmed in the case by Taiwan CDC. After the patient was given plasma exchange and botulism antitoxin, his condition has improved and he is still receiving treatment in intensive care. In the course of their investigation, health officials found homemade preserved shellfish and spicy seafood sauce. A sample of the aforementioned foods has been submitted to the Food and Drug Administration for laboratory testing to determine the source of the case’s infection. No family members or coworkers have developed symptoms to date.